This article was published on 12/28/2015. What is a roguelike? Well, to put it simply, it's a game with randomly generated content. Before I had heard of the term roguelike, I referred to these as random dungeon games, because they typically revolve around exploring randomly generated dungeons. 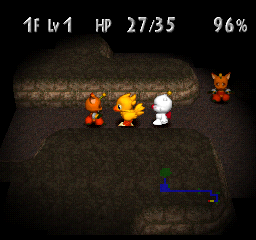 The first time I encountered these kinds of games was back in 1999 with Chocobo's Dungeon 2 for the PlayStation. Nowadays, roguelikes have evolved to have way more than just randomized dungeons in them, so the term is far broader now and may encompass other genres. As for the origins of the term, it comes from an old computer game released in 1980 called Rogue. All roguelikes are based on the concepts pioneered in Rogue, hence why they're called that. Anyway, I dislike roguelikes. I've never liked them, not back then, and not now. With this article, I'll be shedding some light on why that is. One of my biggest beefs with roguelikes is that their dungeons or levels lack the human touch. Because much of the content in these games is randomly generated, they lack the human touch that only a thoughtfully designed level or dungeon can provide. When the layouts are designed without the human touch, they don't have character and therefore stop being memorable. It is said that art is a form of expression. If we are to assume that video games are a type of art, then the creator's expression may be communicated through the level design itself. Personally, I sometimes feel like I can infer the creator's intent through observing the levels they've designed, giving me a closer connection to the creator. That relationship between the designer and the player is something I value in video games. All of that goes away if the levels weren't designed by an actual person, instead being handled by an automated algorithm. The knowledge that most of the content was randomly generated by a lifeless machine just outright kills my interest in the game. Randomly generated content is repetitive. People say that it makes for a different experience every time, but I don't see it that way at all. To me, it's the same thing over and over. The only new things I look forward to are the objects and enemies, both of which can take a really long time to change, and will eventually stop changing entirely. At that point, it just feels like the same exact area, just with different layouts. All the different layouts blend in together in my memory, so I can't tell the difference between one floor and the next, in the case of randomly generated dungeons. This is why I rarely have the resolve to finish roguelikes, because it feels like the experience never really changes from start to finish, despite the randomized layouts. There have been cases where I almost fell asleep during a long dungeon crawl, because I'm systematically looting every single floor in an unchanging pattern. Sure, the loot will be different, but that's not enough of a difference to radically alter my experience from one floor to the next, or one play session to the next. 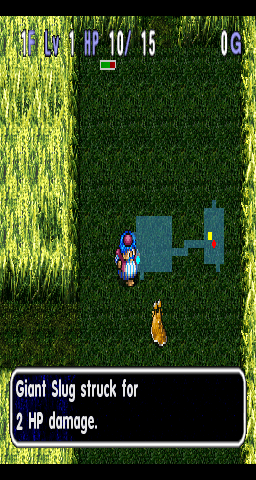 Another defining aspect of the roguelike is how you usually lose everything if you die. That typically includes your level, experience points, equipment, items; the works. Not all roguelikes feature this mechanic, but many do, and I hate it. The reason I dislike this feature, or lack thereof, is because it makes me feel like I'm never making any progress. As a result of this, climbing back to the floor I died at will take just as long as it initially did, since I'm back to square zero as far as my character's abilities are concerned. If I got to keep my goods, then I would be able to blow through all the low level floors to quickly get back to where I last left off, but that's not the case. It makes the climb back up excruciating. The randomization of the dungeon floors should alleviate this issue, but as I explained earlier, that trick doesn't work on me. No matter what, I can't shake the feeling of repetition. Losing everything when you die only further adds to that repetition, as not only do all future floors feel the same, but I also have to repeat previous floors, which continue to feel the same despite the different layouts. 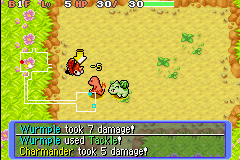 Since the layouts, items, and enemies are randomized to varying degrees, and you lose everything upon death, a lot of your success depends on raw luck. Sometimes you'll get lucky enough to encounter a series of treasure rooms with powerful items, and other times, you'll find nothing but traps and insanely powerful monsters. Of course, it's not all luck; as you learn better survival skills, you'll increase your chances of success by a certain margin, but there are still unlucky cases where you're simply doomed to fail regardless of what you do. Therefore, beating a lot of roguelikes almost feels like winning the lottery. You just have to keep trying repeatedly until you get lucky enough to win. Obviously, it's not possible to learn the layouts and plan specific strategies like you would in most other games, so you just have to hope the randomization doesn't lock you into failure. Perhaps some find this slight element of luck exhilarating, but I find it frustrating. Part of the reason I don't like a lot of roguelikes is because most of them are RPGs, and I find the game play in those boring. 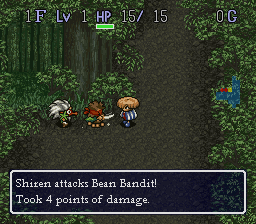 However, in recent years, many other genres have mashed with roguelikes, such as side-scrolling platform games. 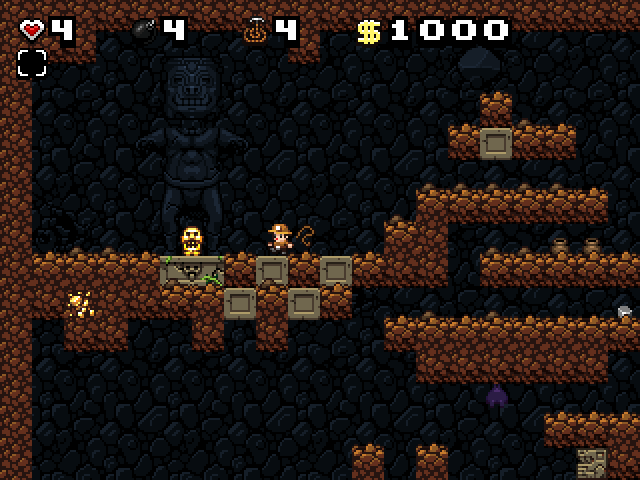 One example of a game that combines platforming with roguelike rules is Spelunky. Roguelikes have made a huge comeback in recent years within the indie game scene thanks to games like Spelunky, becoming extremely popular with retro gamers everywhere. I like platformers, so I gave that game a shot, but the roguelike elements still ruined it for me. Admittedly, Spelunky did solve many of the issues I had with roguelikes in general, but it didn't solve all of them. I figure if even Spelunky can't convert me into a believer of the genre, then I'm simply a lost cause. I'm able to tolerate a large variety of genres, but roguelikes aren't one of them. And believe me, I tried. I've played a fair amount of roguelikes over the years, and my experience with them has been consistently negative. I'm the sort of guy who almost always finishes every game he starts, even ones I don't like, but roguelikes are the sole exception. I've started many roguelikes, but haven't beaten many, usually quitting somewhere at the halfway mark. 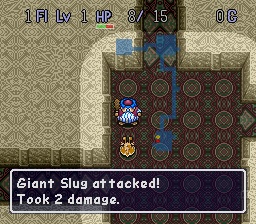 I just can't stand the tedium of navigating multiple randomly generated floors and the repetitiveness of redoing everything after dying due to bad luck. The boredom is simply too much for me to bear. 1,388,120 people love this site.